The Dow Jones Industrial Average plunged more than 1,000 points during trading Thursday, the latest major swing in a volatile week for the market. “I was haunted by tweets every single day. Like, what is he going to tweet next?” — Omarosa Manigault, on Celebrity Big Brother, about life in the Trump White House. “In a sign of increasing partisan hostilities, Republicans on the House Intelligence Committee plan to construct a wall – a physical partition – separating Republican and Democratic staff members in the committee’s secure spaces,” CBS News reports. House Democrats are stepping on the gas, with plans to target 101 Republican-held congressional districts in the midterm elections, NBC News reports. A new Public Policy Institute of California poll in California finds Gavin Newsom (D) and Antonio Villaraigosa (D) in a close race among likely voters in the gubernatorial primary, 23% to 21%, with 24% undecided. Fewer would vote for Democrat John Chiang (9%), Republican Travis Allen (8%), Republican John Cox (7%), Democrat Delaine Eastin (4%), or Republican Doug Ose (3%). Meanwhile, Sen. Dianne Feinstein (D-CA) continues to lead Kevin de León (D) in a U.S. Senate primary, 46% to 17%. A new NBC News/Survey Monkey poll finds a majority of Americans — 55% — are not confident that the federal government is doing enough to prevent foreign interference in our elections. Additionally, 57% of Americans think it’s likely that Russia will try to influence this year’s midterms. O’Neill is the Navy Seal who killed Bin Laden. “I think confidence is silent and insecurity is loud. America is the most powerful country in all of human history, everybody knows it, and we don’t need to show it off.” — Sen. John Kennedy (R-LA), quoted by Politico, disagreeing with President Trump’s idea of a military parade in Washington, D.C.
“The criminal investigation into Rep. Duncan Hunter (R-CA) is intensifying as a grand jury in San Diego questions multiple former aides about whether the California Republican improperly diverted political funds for personal use,” Politico reports. 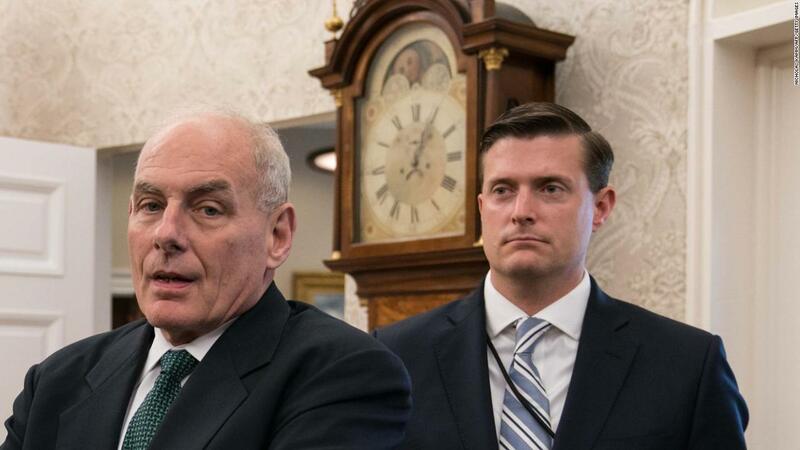 You can measure how badly the White House is handling the Rob Porter abuse case by watching the incensed reaction of Amanda Carpenter, a former staffer to Sens. Jim DeMint (R-SC) and Ted Cruz (R-TX). “For President Trump, Haiti may be a ‘shithole.’ But on the other side of the island is a country that he clearly thinks could be a goldmine — and a potential windfall for his family’s business empire. The Trump Organization is close to an agreement in the Dominican Republic with a developer to partner on a project on the east coast of the island,” Fast Company reports. “That’s despite Trump’s promise to avoid any new overseas deals while in office, which was intended to avoid potential conflicts of interest such as foreign governments and companies attempting to win favor with the Trump administration. With all the 365/24/7 Russia-gate hysteria, it’s a wonder that 57% of Americans don’t think Vladimir Putin wrote the Electoral College into the US Constitution. So you are pushing the GOP talking points again. Rex Tillerson is telling people that they will meddle if they aren’t already. The CIA Director fully expects the Russians will meddle with the election. And what I know for certain is that YOU have no better information on this. Or perhaps you are indeed one of the Russian bots trying to interfere and badly trying to through people off. Or perhaps you are buying the Fox News talking points lock stock and barrel. Got be honest.. (also admittedly paranoid, but what WONT these fucks do…) It is a little frightening that the administration (or parts of it) are saying there is/ will-be Russian meddling. Wouldn’t be AT ALL surprised if they tried to use it to nullify D(and d)emocratic victories. The question I cant answer is; why would any of the acknowledge it? Admitting it happened admits they are illegitimate, unless there is a longer plan………. or maybe they really are this stupid, like ‘crat. I dunno. Rex Tillerson has the air of someone who wants out but cant figure out how to do it quietly. The frightening thing to me is that members of this administration pretty much shrug their shoulders as though there is nothing they can do about it. Pushing the GRIFTUS to actually implement the sanctions Congress overwhelmingly voted for would be a start. Their entire attitude makes me wonder if this isn’t just one more front on the entire GOP voter suppression project. Tell people the Russians will interfere, say it might not be possible to stop and let people be demoralized about voting. Or worse, postpone an election. For the 2 year or so screening that immigrants get, the Trump people can’t pass a normal security screen.